"From day one, my mom has always told me 'I knew there was something special about you from the day I held you in my arms when you were born.'" But for Matt Aitchison all the odds were against him. Expelled from his senior year of high school, arrested at 19 and facing felony charges, Matt's life was everything but special. Matt arrived at a crossroad and knew that he had to make some changes - one of them was to refuse to let his past define his future. "...I was not willing to let my mistakes define me. Instead, I decided to use that failure as feedback - and motivation - and committed to becoming a better version of myself everyday. I believed I was destined for something bigger than being known as a loser who got expelled from high school, arrested in college and amounted to nothing." 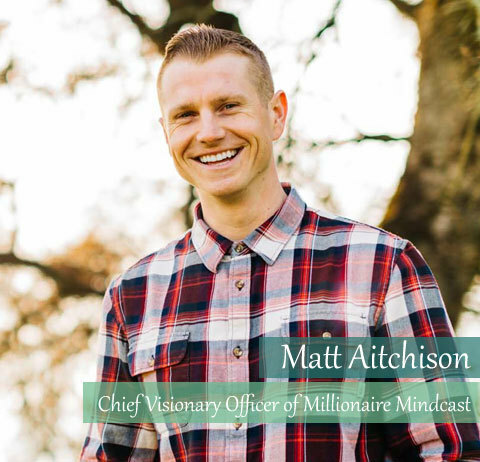 Today Matt lives an exemplary life as a millennial entrepreneur, real estate investor and wealth building evangelist who educates and mentors others on building wealth with purpose. Passionate about real estate, Matt personally flipped over 100 houses in 5 years and ranked among the coveted Wall Street Journal's Top 1000 for real estate teams nationwide. In entrepreneurship Matt saw something that a 9-5 could not offer - the ability it gives to define your life and future. "I grew up seeing both of my parents work their asses off in corporate America building someone else's company with little or no appreciation. Neither of them truly seemed fulfilled and always encouraged me to follow whatever it is that I'm passionate about." Being an entrepreneur was Matt's way of taking control over his destiny and entrepreneurship offered him endless opportunities to make this happen. "I wanted to be an entrepreneur because I wanted to write my own history, not let someone else do it for me. I saw entrepreneurship as the vehicle which had no ceiling on what I could accomplish or make in income. I could impact the people I wanted to impact, I could be my own boss, and I could have the freedom to design what my life looked like. I wanted a life by design, not by default." So, Matt got to work. When he moved to Sacramento he responded to an ad on Craigslist to get his real estate license then signed up for the classes. Through this period he worked hard to learn all there was about real estate, even working for free to gain experience in the field. Although the training process was long, hard and challenging, Matt kept going. "I counted working 51 days straight one time and in that first year I questioned quitting and 'getting a safe job' 6 times. Man, am I glad I pushed through that." In fact, Matt realized the importance of real estate investing. It quickly grew to be his passion and a "vehicle for creating wealth and unlocking financial freedom". It's admirable how Matt faced challenges. Instead of feeling weighed down, he saw challenges as blessings in disguise. "As I got deeper into my journey as a business owner, I began to embrace the challenges and I now get excited when I expose a weakness, because I know it's an opportunity for me to learn and grow." One of the main challenges he faced in his business was learning how to lead others and scale his business. He said, "When it came to leading myself I was great, but when it came to hiring and leading others, that required me to grow my leadership skills." Matt realized that the growth of his business depended on the extent of his growth. This made personal development a key to be the leader he hoped to be. But what really did it for him, his business and his employees was when he hired a coach. "When you hit a ceiling or a roadblock, you're just only a conversation or a relationship from breaking through it." At 25 Matt's life took another amazing turn. He got introduced to GoBundance, a millionaire mastermind group known for being "a tribe of healthy, wealthy and generous men who choose to live epic lives". This occurred at that moment when he felt his life didn't have much balance although he was doing well financially. "Most of my identity was wrapped up in my work, and I found the other areas of my life that were important to me were being neglected." 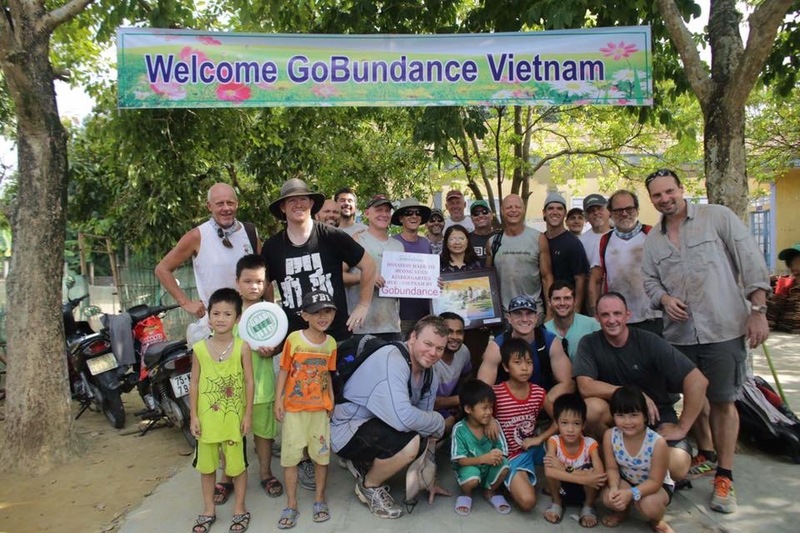 GoBundance helped him realize that he could live the "all inclusive lifestyle" and that he could have it all. "I realized that the conversations, experiences, and aha's I had while hanging with these guys were missing links to helping me grow and take my life to the next level." This sparked something in Matt. He wanted to share the same impact GoBundance had on his life with other people. "If these were the missing conversations I felt would allow me to transform my life and take it to the next level, why wouldn't I try and share this with as many people as possible so they can do the same thing for themselves should they choose to.... I figured why not create a podcast where I can interview other millionaires on their successes or failures, their mindset, and the wealth creation strategies they've used to build an abundant life." This gave birth to Millionaire Mindcast. In 3 months, the podcast was circulated in over 30 countries with thousands of downloads every month. "There's nothing more gratifying than receiving messages from listeners and hearing how the podcast has positively changed some area of their life for the better. This is exactly why I did it!" If you're going through a rough road, this is what Matt has to share with you: "When you make a mistake, hit a rough patch, or when life just smacks you upside the head, remember that the darkest nights produce the brightest stars... If you want to change and don't know where to start, look at your habits. Your success or failure in life is just a reflection of your habits. Start there and the possibilities are endless!"